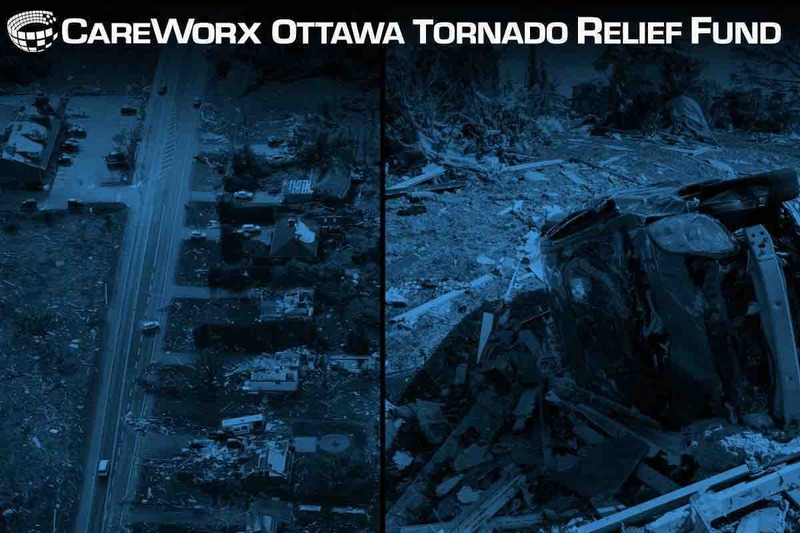 On Friday September 21st, an unprecedented six tornadoes tore through areas of the Ottawa-Gatineau region that we at CareWorx head office, call home. Dunrobin , an area only a few kilometres away from our HQ, was devastated after being hit by an F4 Tornado with winds over 265 km/h. Miraculously there has been no loss of life but many residents have lost nearly everything else. CareWorx is hoping to help however we can. We are gathering supplies for the clean-up efforts, making our team's time available for volunteering efforts and asking our Team, our Partners and our Customers if they would like to contribute financially via this funding initiative. Whatever we contribute as whole, the company will match with a goal of turning over a cheque for $25,000+ to those in need. However you'd like to help, please help us to extend a helping hand and show Ottawa that We Care.